You may notice they added multiple panels of contrasting colors (blue and white) to the same track to achieve a layered look while minimizing their drapery hardware costs. This gives the appearance of having multiple tracks mounted in parallel as is usually the case with pairings of black out curtains and sheers. 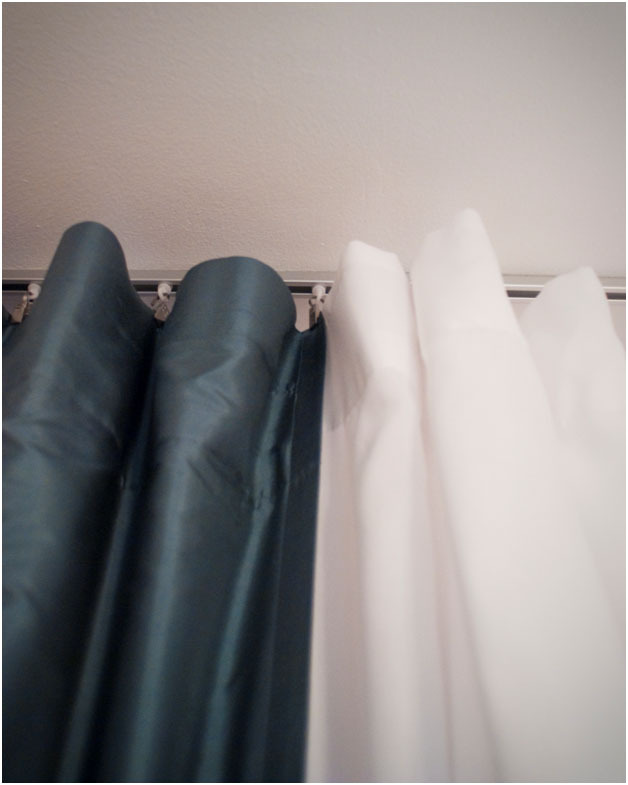 The curtains are mounted using 7124 button carriers combined with a clip similar to the 7115 Bulldog Clip on the 52124 curtain track. This curtain track is mounted by drilling holes through the top of the track and driving screws through the slot in the track, thus concealing the mounting screws from view. 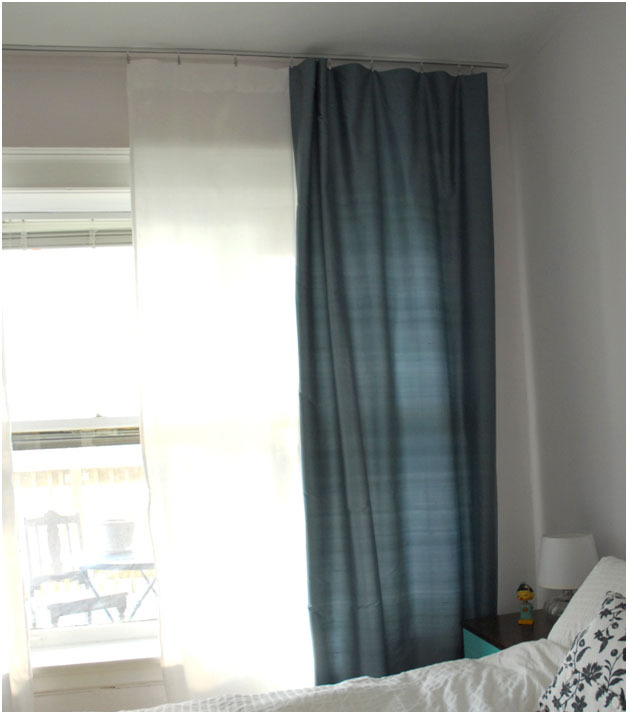 The curtain panels are simple flat panels, and the clips allow for quick and easy mounting without any additional sewing. This can make using off the shelf curtains that are not pleated easy to hang. Using a section of leftover track from the window, a curtain panel was also hung in the closet door frame to replace the closet door. In this case, it seems the door was missing and a simple flat panel hung with a curtain track was a quick and stylish option to conceal the closet contents. Economical for sure, but it also serves to soften the feel of the room even more. 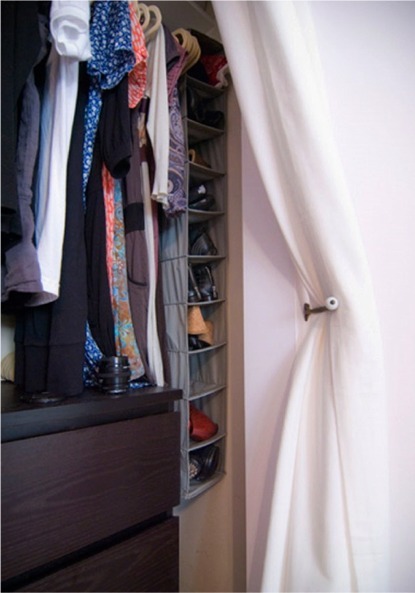 A simple piece of hardware was mounted on the wall to serve as a guard to hold curtain back as needed to grant easier access to the contents of the closet. The curtain tracks used in this project play a supporting role, but it serves as another example of how effectively simple curtains can be added in a rooms decor to play multiple roles. The installation is straight forward, and the costs are quite reasonable. A simple curtain track system can truly help to distinguish a room's design appeal. We appreciate the willingness of the team at Yellow Brick Home to share their project, and look forward to seeing the next creative way they choose to deploy our curtain track in their design. 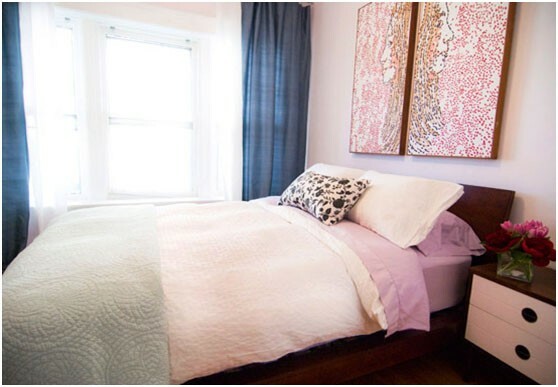 In the event you missed it last year, we would also encourage you to check out their original encounter with Curtain Tracks and Curtain-Tracks.com, as well as a subsequent bedroom makeover that featured a curtain door hung with curtain track as well. As we've mentioned before, Kim and Scott are big fans of our products, and we are big fans of their blog. When they need curtain track, they know where to find it.